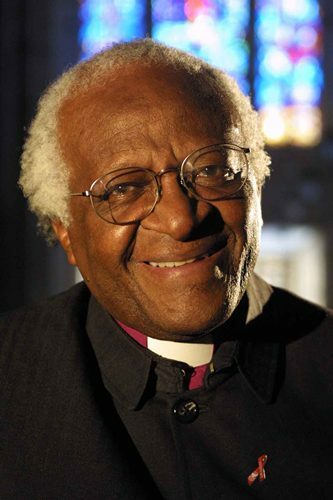 South Africans have taken to social media to wish Archbishop Emeritus Desmond Tutu a happy birthday. The anti-apartheid struggle veteran turned 84 on Wednesday, with many across Twitter and Facebook sharing both their admiration for the Arch, as he is affectionately known, as well as some of his best quotes down the years. The City of Cape Town announced plans on Tuesday to honour Tutu and his wife Leah ahead of his birthday. The City will celebrate his achievements with a reconciliation walk and an interfaith service, Mayor Patricia de Lille said. President Jacob Zuma also wished Archbishop Emeritus Desmond Tutu well and good health on Wednesday. “Archbishop Tutu has been a tireless and visible ambassador of our country all over the world for decades, promoting human rights and justice. “He continues to be a beacon of hope who is highly regarded by the South African people. “I would like to wish the Archbishop Emeritus a happy 84th birthday today and may his health continue to improve," said President Zuma. The Granary building in Buitenkant Street will be handed to the Tutu family next week in to "house his legacy".